Here is the follow-up CD of "A State of Grace". It is the result of a spontaneous communion of three extraordinary artists. 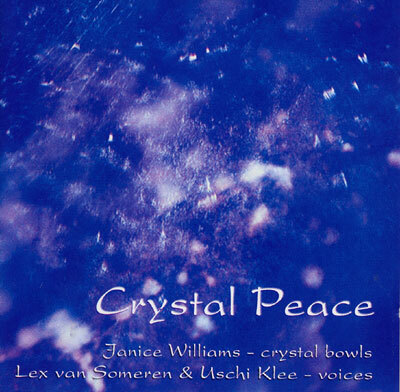 The healing sounds of Janice Williams, crystal bowls inspired Lex van Someren and Uschi Klee to prayerful voice improvisations, inviting the listeners to connect with their own inner source of creative prayer. This "live" studio recording brings Lex's magical voice, which reaches 4 octaves (!) into powerful resonance with the angelic clear voice of Uschi and the pure tones of the bowls, creating a deeply relaxing and peaceful atmosphere. Music for meditation, contemplation and healing work with a highly trancendental quality.